Dr. Aamir Shah is a well-known thoracic and cardiac surgeon in Los Angeles, California. He received his medical diploma from Boston University School of Medicine in 1991. Dr. Shah completed his medical education with a residency in general surgery at the University of Chicago, a fellowship in thoracic surgery at Jackson Memorial Hospital – Jackson Health System and a fellowship in vascular surgery at the University of Texas Health Science Center. He is certified by the American Board in surgery, vascular surgery, and thoracic and cardiac surgery. His subspecialties are: general cardiac and cardiovascular surgery. 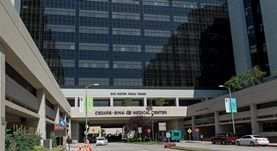 Currently, he is affiliated with Cedars-Sinai Medical Center. He was awarded the honor ACS Fellow. He has published some articles in cooperation with other doctors. This doctor is a member of the American College of Surgeons and Society of Thoracic Surgeons. Dr. Aamir Shah has contributed to 3 publications. Left Subclavian Arterial Coverage and Stroke During Thoracic Aortic Endografting: A Systematic Review. Waterford, S. D.,Chou, D.,Bombien, R.,Uzun, I.,Shah, A.,Khoynezhad, A.; Ann. Thorac. Surg.. 2015 Nov 22. Endovascular treatment of hemodialysis access pseudoaneurysms. Shah, A. S.,Valdes, J.,Charlton-Ouw, K. M.,Chen, Z.,Coogan, S. M.,Amer, H. M.,Estrera, A. L.,Safi, H. J.,Azizzadeh, A.; J. Vasc. Surg.. 2012 Feb 22. Zacharias, A., Schwann, T.A., Riordan, C.J., Durham, S.J., Shah, A.S., Engoren, M., Habib, R.H.; J Thorac Cardiovasc Surg. 2010-06-01.